After the migration to the new Trai tariff regime, there has been a lot of chatter in the industry about changing DTH providers in the name of quality and other reasons. Since the customers are paying more, they want to enjoy the best possible service they can from their DTH companies. As such, the subscribers are considering a transition of DTH providers as well. In our previous reports we have reiterated that for subscribers thinking of making the switch, Tata Sky is a viable option, but not a lot of people know that Tata Sky has four set-top box options for its new consumers – Tata Sky SD, Tata Sky HD, Tata Sky HD+ and the Tata Sky 4K. Here are some of the differences between them. The Tata Sky SD, as the name suggests will have very little to offer when it comes to display, and the STB will only provide the standard quality display. The Tata Sky HD STB, however, will ship 1080p resolution, 3G compatibility and 16:9 aspect ratio. The Tata Sky HD+ box offers the same thing. The Tata Sky 4K box will ship all the features as mentioned above but will also combine them with true colours. When it comes to audio or sound quality, the Tata Sky SD STB which is also the lowest rung in the ladder offers only PCM based audio but in the Tata Sky HD and HD+ set-top box, we get to see Dolby Digital Surround and Dolby Digital Plus Surround support as well. The Tata Sky 4K, as you would expect offers PCM, Dolby Digital Surround and Dolby Digital Plus Surround as well. One of the other extra functionalities that Tata Sky offers for its users is Video-on-demand. However, this functionality is only available on the Tata Sky HD+ variant. In the additional features department, the lower two set-top box lose out as they don’t pack much beyond the necessities. 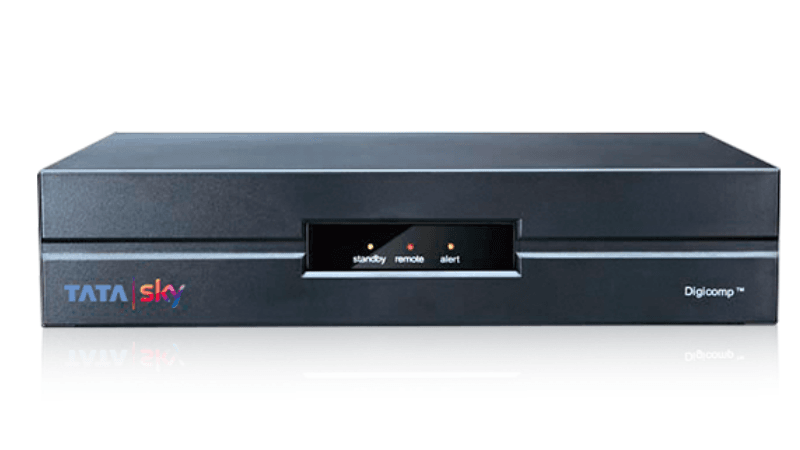 The HD variant of the set-top box comes with a 500GB hard disk, option to record from a mobile phone, karaoke, option to rewind, forward pause and Series Recording. Some of the additional features are common across all the STBs like parental control, Auto Standby and Services. When it comes to the 4K variant of the Tata Sky STBs, it is worth noting that it does not ship all the additional features which the HD+ variant comes with. The 4K variant of the device only comes with HDMI 2.0, parental control, Auto Standby and services only in the name of additional features. Tata Sky is currently selling the Tata Sky SD for Rs 2,000 in the country, and weirdly enough, the Tata Sky HD variant is listed for Rs 1,599, lower than the SD variant. The Tata Sky 4K STB can be picked up for Rs 6,400, whereas the Tata Sky HD+ STB is available for Rs 9,300. All these prices are currently mentioned on Tata Sky website and there might be some new acquisition offers going on. Considering all the options given above, we think that if you can let go of the 4K factor and you think that you can make do with HD+ content, then the Tata Sky HD+ set-top box makes the most sense to buy. The reason why we say this is because it is the only one in the list which offers video on demand content, additional hard-disk and more, however, it costs a lot compared to the standard SD and HD set-top boxes. Does HDMI 2.0 connectivity in 4k model makes any difference in picture/sound quality over HD model? Nope. TataSky doesn’t even provide full 1080p quality. 4K model is pure waste of money. Overpriced and total junk. Not a single 4K channel to view. I am the idiot using the 4k box since 2 years hoping for new 4K channel which won’t come.